A Coming Power Shift in Algerian Politics? Last month Algerian President Abdelaziz Bouteflika was re-elected for a fourth term after legislation allowing him to run again for president was passed. This unprecedented action led many critics to suspect that the elections would only serve as a façade to preserve the balance of power in the country. Criticism intensified in the run-up to elections, with many people pointing out that that a 77 year-old who recently suffered from a stroke could not possibly be in good enough health to lead the country. Unlike typical dictatorships, Algeria’s political power is not concentrated in a single institution, family, or individual, but rather in an extended group consisting of members of the military, technocrats, and politicians, known in Algeria as “le pouvoir” (the power). Instead of the presidency and other institutions in the country, it is this group keeps a tight grip over the country’s wealth and political affairs. Yet why would this secretive group of individuals appoint an ailing man to run for president again? If Bouteflika is not an integral part of running the country, then he could easily be replaced by anyone, as long as they serve the interests of le pouvoir. The answer to this partially lies in the country’s historical narrative. Given the Algeria’s bloody history, politicians in power have always relied on key events in the country’s history to provide justification for their rule, and le pouvoir has used Bouteflika’s civil war legacy to the same effect. We can divide the country`s historical narrative into three periods: the pre-civil war era (before 1991), the civil war, and the post-civil war era. In the first period, the country`s major political force was the Front de Libération Nationale (FLN) which fought for Algeria`s independence against French rule. Almost all of the country`s major political figures, including Bouteflika, were at one point affiliated with the FLN, often using the anti-colonial narrative to legitimize their rule. However, by the 1980s the country’s colonial narrative became irrelevant and was overshadowed by social disparity burdening the country’s population. The second period is a particularly volatile one. It came during a time when the FLN began to lose favor among the people. Rising prices of basic goods, high unemployment, and a lack of political reform led to riots in October 1988. As a last ditch effort to satisfy the people, the FLN revised the constitution to remove the one-party system, thus paving the way for multiple parties to contest the 1991 elections. 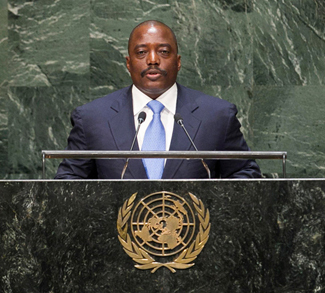 The most influential party to emerge from these events was the Front Islamique du Salut (FIS), which went on to comfortably win the first round of the election. 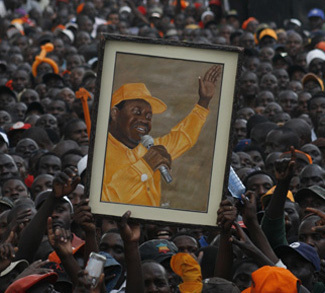 This outcome, however, was not palatable for the military which staged a coup and nullified the results. This escalated tensions between the FIS and the military, resulting in the decay of law and order and the country quickly descended into a civil war. The civil war ended in 2002 and Bouteflika was labelled as the man who helped return peace to Algeria. 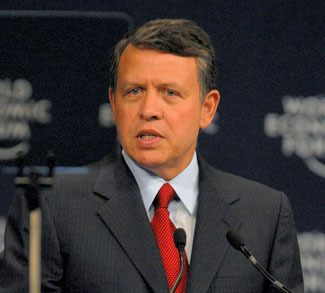 He became president in 1999 when his predecessor unexpectedly stepped down. Though his role in the civil war is not entirely clear, many of his supporters believe that his reconciliation efforts led to peace in the country by encouraging the military and various Islamist groups to put down their arms. If there is one thing that the civil war can tell us about the affairs of Algerian politics, it is that the balance of power is in a fragile state. 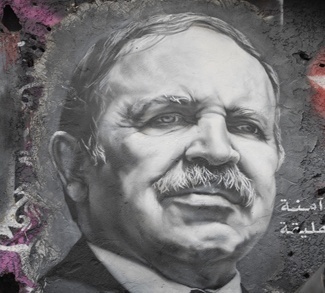 Similar to the way that the FLN propagated their anti-colonial legacy well into the 1980s, the country’s current ruling forces have used Bouteflika’s civil war legacy as a way of legitimizing his leadership. But as was the case with the FLN, Bouteflika’s legacy also became irrelevant. The civil war ended more than 10 years ago and the current generation of youth believe that Bouteflika’s achievements are not helping with the country’s current situation. Algeria now finds itself in a similar predicament as it did prior to the civil war in 1991. If there is one thing that the civil war can tell us about the affairs of Algerian politics, it is that the balance of power is in a fragile state. With people increasingly becoming dissatisfied with the government, it is difficult for those who run the country to find a viable replacement for Bouteflika without triggering the type of protests seen during the Arab Spring. Among the candidates that le pouvoir could put forth, Bouteflika is the only one who can gain sufficient popular support yet the tide against him and his backers has been on the rise for the last two years. Though some people might still see Bouteflika as a daring visionary who united Algeria during the civil war, there are a growing number of people who are dissatisfied with the lack of progress being made to improve their living conditions. During the election campaign, a youth oriented non-partisan group named “Barakat!” (Enough!) led protests against the current political system demanding political reform. Unlike what many politicians have speculated, the masses no longer fear the type of instability that existed throughout the 1990s. People now have better means to vent their frustration towards the government. Rather than trying to pick up arms against the country’s leadership, people are frequently using social media to express their concerns and mobilize protests against the government. While le pouvoir has postponed the inevitable, it will find it extremely difficult to maintain this fragile balance of power when Bouteflika’s health further deteriorates. Once that does occur, the cartel controlling the country will be forced to select a president that does not have the type of legacy that Bouteflika enjoys. With 30% of the country’s population below the age of 15, we can only expect the national unemployment situation to worsen in the near future. Once this generation comes of age and finds it extremely difficult to find a job, fingers will once again be pointed at the government. This perhaps may become a tipping point in the country’s history and the government may once again buckle under pressure from the masses.